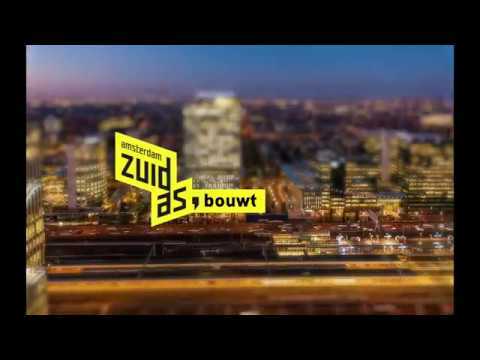 Zuidasdok will improve accessibility to Zuidas and to the northern Randstad conurbation. The southern section of Amsterdam’s A10 ring motorway will be widened from four to six lanes. It will also run underground where it passes through the heart of Zuidas. Amsterdam Zuid station is being completely renewed. It will soon be a hub for various forms of transport (and public transport). The station area will become a lot greener. The southern section of the A10 ring motorway will be widened from four to six lanes between the De Nieuwe Meer and Amstel junctions. There will be separate lanes for through traffic and local traffic. The De Nieuwe Meer and Amstel junctions will also be modified. The station will evolve into a compact, high-quality public transport terminal. It will be a hub for trains, trams, buses, taxis and bicycles, framed in a green environment. The continuing growth in car traffic means that, in a few years’ time, there will be a serious risk of regular traffic jams along the southern section of the A10 ring motorway. Amsterdam Zuid Station is also growing at a rapid pace. It is actually the fastest growing station in the Netherlands. Around 80,000 passengers now use this station every day. It is expected that, by 2030, this number will have risen to around 250,000 to 300,000. To avoid a situation in which access to Zuidas and the northern Randstad becomes increasingly restricted, we are expanding the capacity of the southern section of the A10 ring motorway and that of Amsterdam Zuid Station. Channelling traffic through a one-kilometre-long underground section of motorway will improve air quality in the area and reduce noise nuisance. The public areas around the station will feature squares, as well as dedicated routes for pedestrians and cyclists. There is major focus on green areas. For instance, the area immediately above the motorway tunnels will be planted with vegetation. The new station buildings, too, will have green roofs. Download the artist’s impressions of Zuidasdok here. There’s not much to see yet, but work on Zuidasdok has already started. Behind closed doors things are starting to happen, and our hopes are being realized. In the process of making calculations and preparing drawings, issues are coming to light that we can solve before the work outside shifts into top gear. Work to widen the southern section of the A10 orbital motorway and run part of it through an underground tunnel as well as modifications to the De Nieuwe Meer and Amstel junctions is regulated by a Routing Decision, signed by the Minister of Infrastructure and the Environment. The expansion of the railway station, extra infrastructure for public transport and the layout of the space above the tunnels are all part of a municipal zoning plan. Use the links on this page to download documents about Zuidasdok (in Dutch). In addition to a general fact sheet, these include documents relating to the various decision-making phases involved in the Zuidasdok project.